Tottenham Hotspur will hope to continue their Christmas charge on the Premier League summit when they travel to Vicarage Road to take on Watford on Monday, but it certainly won’t be easy. Spurs have found the perfect answer to slipping up at home to Newcastle United. They beat Southampton 2-0 at St Mary’s Stadium before brushing aside Norwich City on Boxing Day. Those two wins have seen Mauricio Pochettino’s young side climb to within six points of leaders Leicester City, and prompted suggestions that they should be aiming higher than merely the top four. Watford’s incredible adaptation to the top flight under manager Quique Sanchez Flores means that they are flying high in seventh, only three places and three points behind their opponents. The Hornets are unbeaten in five games and have proven with a 3-0 victory over Liverpool and a 2-2 draw against Chelsea at Stamford Bridge that they can hang with the Premier League’s biggest clubs. Strike pair Troy Deeney and Odion Ighalo are largely responsible for them exceeding expectations. They both scored against the Blues and have combined for 14 goals in their last 10 league games. Tottenham have a prolific forward in their own ranks though. Harry Kane’s two against Norwich saw him set a new club record for league goals in a calendar year, surpassing Teddy Sheringham’s 26. 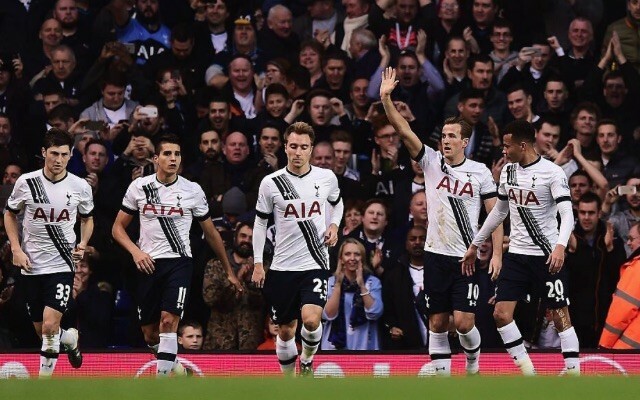 Pochettino must decide whether to go with an unchanged XI or rotate to freshen up his team. Kieran Trippier, Nabil Bentaleb, Nacer Chadli and Son Heung-Min may all be hoping to get run-outs. But the most likely players to be brought in are left-back Danny Rose after two games out of the starting lineup, and midfielder Tom Carroll, who scored his first Premier League goal against the Canaries. Chelsea loanee Nathan Ake will probably return to the Watford side after missing the trip to his parent club. Ikechi Anya may also be hoping for a recall at the expense of Jurado on the right wing. Etienne Capoue is in line to face his former club for the first time since leaving Tottenham in the summer, and will hope to help the Hornets to a maiden Premier League win over the Lilywhites.